'It also depends in an essential way on what Great Britain actually wants. 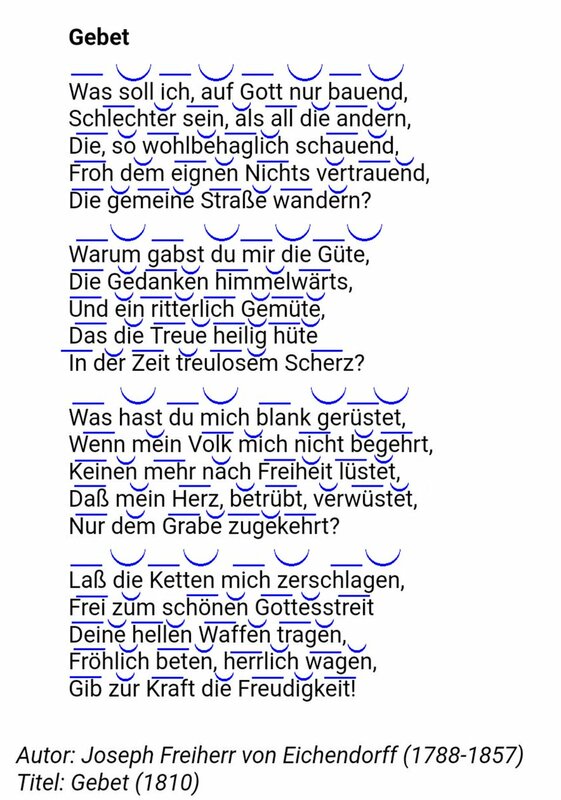 wants to only belong to ONE part..
Now, my gripe is with the chancellor's use of the word "eineindeutig". 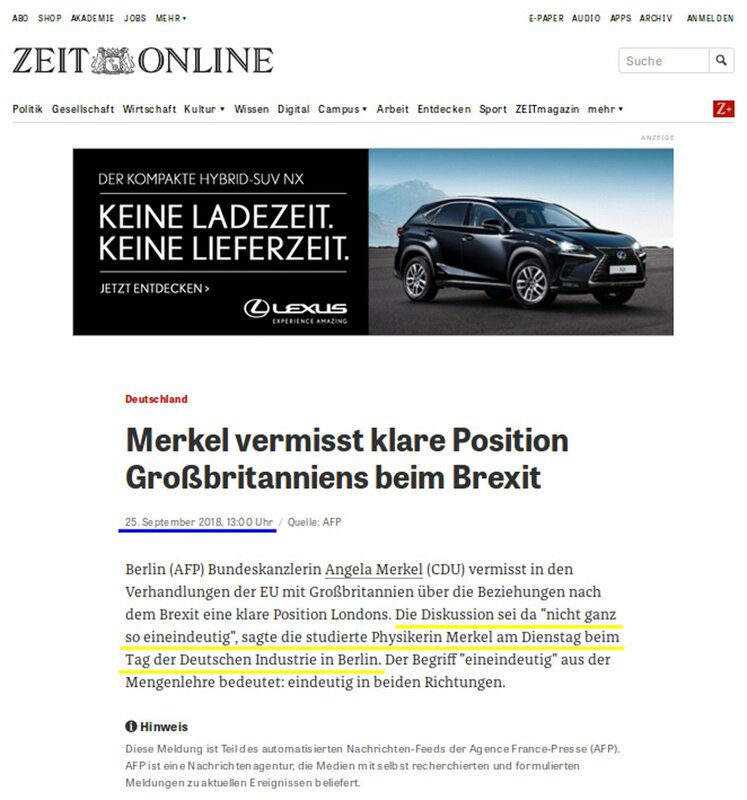 Let me first mention that ..
.. the once critical, but increasingly uncritical, fawning and propagandistic German newspaper 'Zeit', implicitly praised the chancellor for her choice of words in zeit.de/news/2018-09/2… . There, the chancellor's statement is quoted,and then it is casually remarked that Merkel..
.. has studied physics. (By the, one COULD construe the omission of a mention of the chancellor's doctorate as a slight, though I don't think that this is intentional.) Then, the newspaper explains 'eineindeutig' as 'a term from set-theory', which supposedly means 'unique in ..
.. both directions'. While these explanations aren't entirely beside the point, they seem not to have been written by a mathematician.The term 'eineindeutig' is a somewhat old-fashiod German synonym for what today is called 'injective'. Is sometimes ALSO considered as a synomym..
.. of the term 'bijective'. There isn't a precise answer which of the two is the correct translation, for a simple reason: in the old days(when this term was used often), the #codomain of a map was not given much attention, at least not as a mathematical object in its own right..
.., in particular, the codomain was seldom precisely defined as a set,which is why is often impossible to tell for sure whether an author in the old days has defined an injective non-surjective map, or even a bijective map. I think it is fair to say that the meaning 'injective'..
.. is the predominant meaning. For example, in Gödel's famous 1931 paper "Über formal unentscheidbare Sätze der Principia Mathematica und verwandter Systeme I", Gödel uses 'eineindeutig' on page 179 for a map which obviously is injective but not bijective (as a map with..
.. codomain IN, that is.) (Needless to say, every injective map defines a bijective map to its own image.) Now, what did the chancellor mean? I contend that she didn't mean anything more than to say 'Auch da ist ja die Diskussion nicht so ganz frei von Widersprüchen.' Thus..
.., the question reduces to: 'how to model contradictory statements by way of a non-injective map'. Of course, what immediately comes to mind is to have any finite set $S$ such that $S$ is inconsistent be mapped by the 'discussion' (Merkel says she wants to model a 'Diskussion'..
.. as a map) to a set which is strictly smaller than $S$ (and hence the map 'discussion' in non-injective). However, there isn't any canonical way to carry out this construction. This exegesis of Merkel's statement, as well as any other I can think of, seems contrived and ..
.. unnecessary. I think it is fair to say that the Chancellor's use of 'eineindeutig' in this context is not natural and does NOT convey any more meaning than if she had simply said that the Brits are still making contradictory statements in their #Brexit discussions. 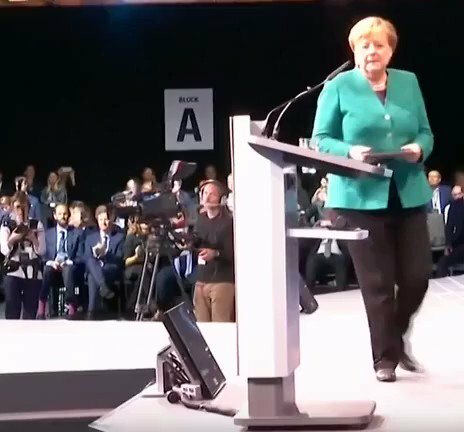 Merkel's..
.. use of 'eineindeutig' seems to not add anything to her speech, except some confusion, and perhaps the possibility to impress some uneducated members of the audience. "„Di Fabio kommt deshalb in seinem Gutachten zu dem Schluss, dass der Bund die Grenzen als Ergebnis der Migrationskrise wieder wirksam sichern müsse, weil europäische Maßnahmen(Schengen, Dublin-Verfahren etc.)versagten." .. repeats himself here, or rather, repeats the quote by Di Fabio which he has already quoted under (3.3), cf. #DÖDGIU-75. Not marking such a repetition by an expression like e.g. 'as mentioned above' is usually considered bad style. This particular paper of von Wachter's was ..
.. probably written under pressure. I recall that it hasn't been published in a journal and I am quoting from a preprint version. LG,I ] My tr. : ' 'Therefore, in his expert opion, Di Fabio comes to the following conclusion that the Federal Republic of Germany must---as a..
"Die Glaubwürdigkeit ihrer Aussagen wird dadurch verringert, daß glaubwürdige Zeugen berichten, daß die Regierung Beamten befiehlt, von Eingereisten verübte Straftaten zu verheimlichen." My tr. : 'The credibility of their [ie., the state actors'] statements is being..
@CharlieElphicke Point 1: imports are necessary for industry. Why is that? We live in the age of global value chains. What does that mean? Products are made from parts that come from all over. SMMTP’s latest statistics say only 44% of the stuff British cars are made of is actually from the UK. @CharlieElphicke If you eliminate the imports, you have to replace them. Some can be replaced at higher costs, others might not. You put the industry at risk. At worst: you kill it. POLITICO: "Time for Angela Merkel to go"
I'm currently at this #Brexit conference in Copenhagen, where the British ambassador and several #DExEU officials will be on panels with representatives of Danish trade and security. It'll be very interesting to see what's said, especially in light of May's recent Munich speech. acknowledges #Brexit will have challenges; emphasises no naïveté regarding "land of milk and honey". Refreshing sense of pragmatism; we'll see how #DExEU and DK reps present it.